There are many incredible animals in our world, and a good bit of them live in the ocean. Scientists are always studying these animals to learn more about them, but it seems like they are all just full of surprises. Whales are some of the biggest and most impressive animals in the world. Very few people get to see one up close, and those who do are changed forever. Sometimes, people get lucky, and instead of searching for whales themselves, they just wait until the whales find them. He isn’t the only person to have experienced something like this. 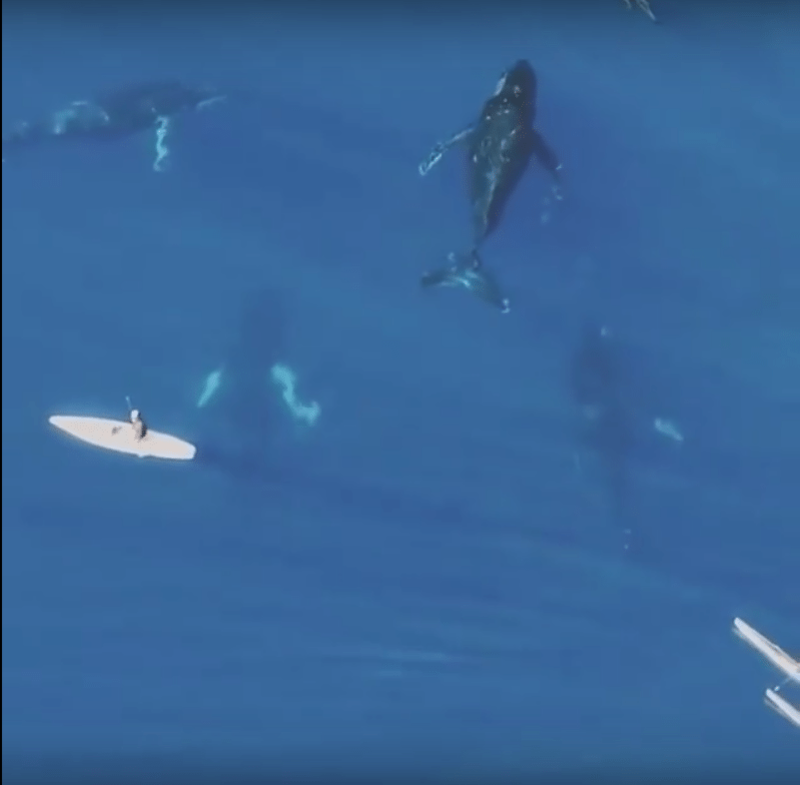 It’s incredible to see whales getting so close to people. 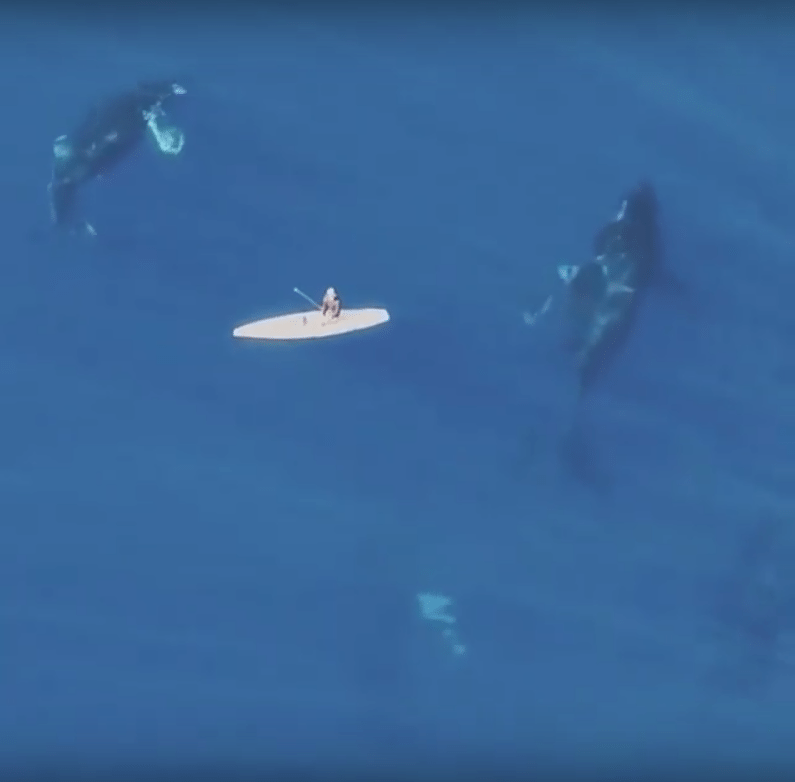 It is likely that they are just curious about them or their kayaks. Still, there have been reports of whales actually saving humans. 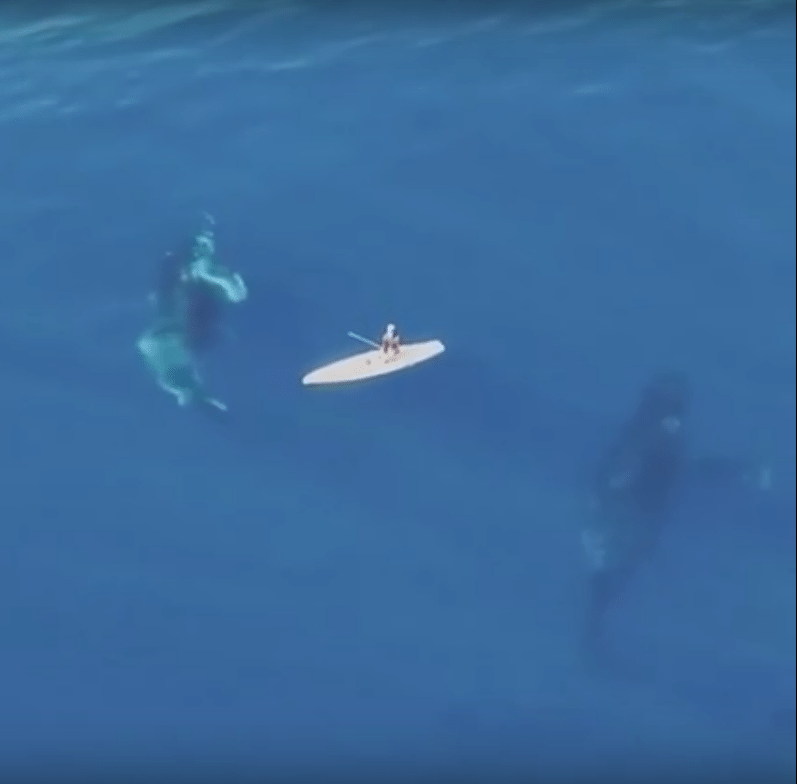 Last year, a whale saved a snorkeler from a shark. She knew she had to keep a close eye on the shark, and she wanted to make sure it wasn’t swimming off just to come back and surprise her. 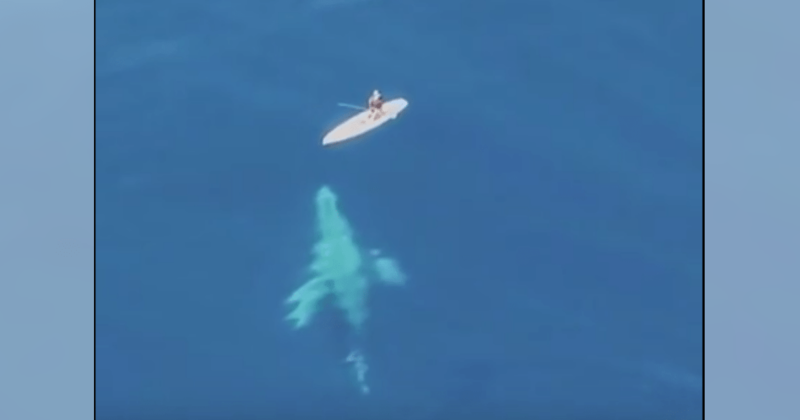 She was surprised when the whale started trying to save her. 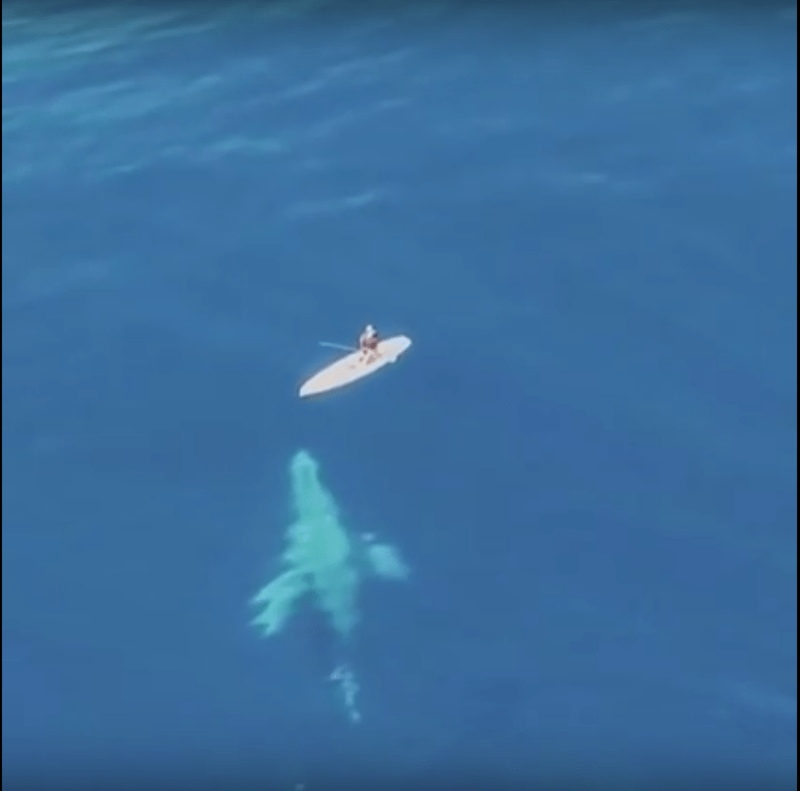 Still, it’s never a good idea to go swimming with whales or to try to physically interact with them. 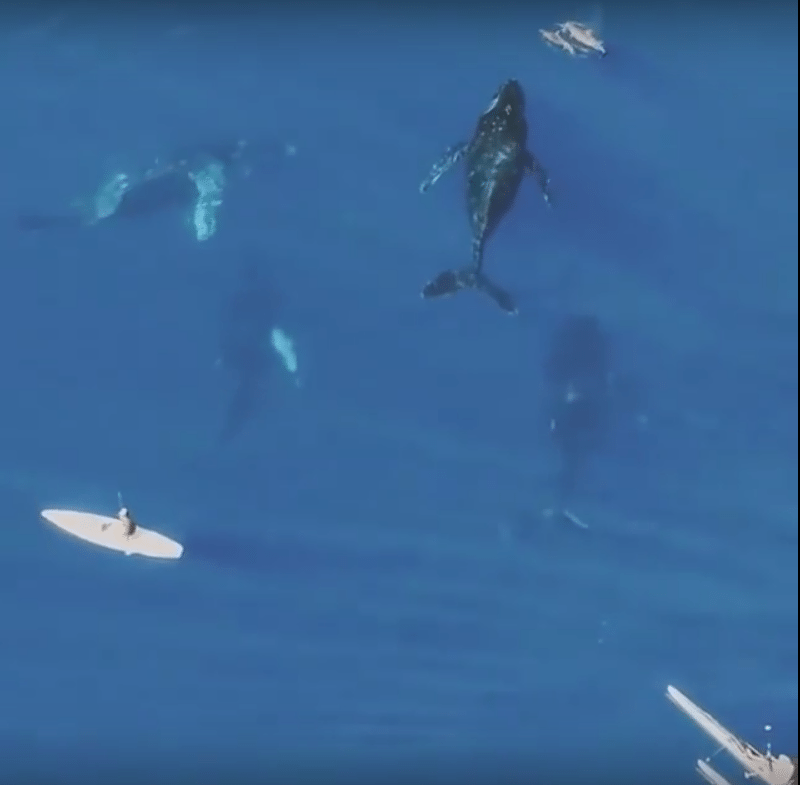 While they may be curious about kayakers and even attempt to save divers from sharks, whales are wild animals, and if they feel threatened, they could turn aggressive. Nobody wants an animal that weighs thousands of pounds angry with them. It’s best to just enjoy these amazing animals from a distance. Maybe, you will be lucky enough to be kayaking in the ocean one day and have one swim up close enough for you to see it. 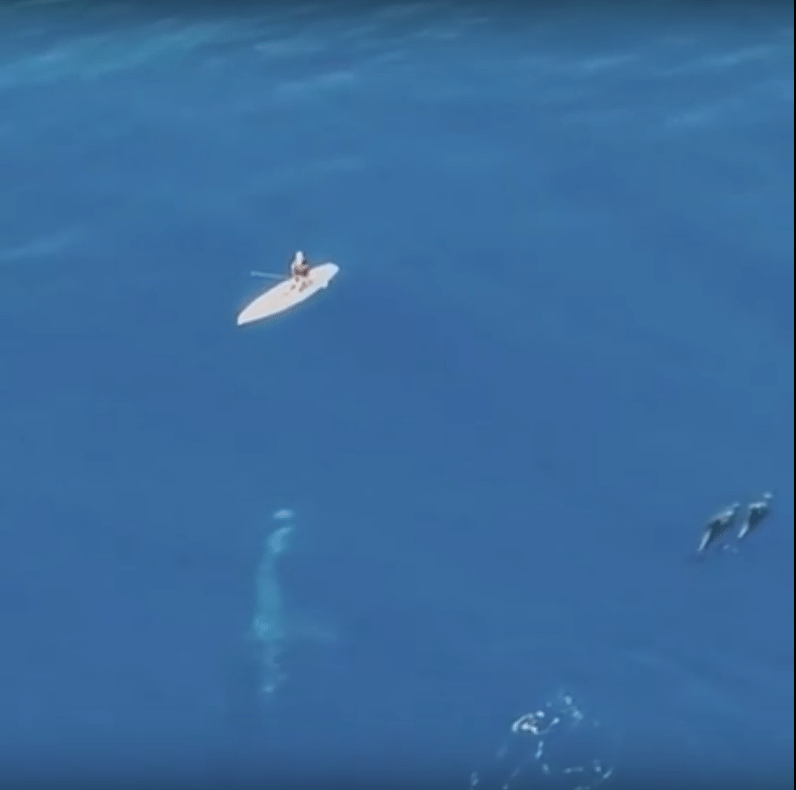 Watch the close encounter below.